… Polish Dog Loaded, Please!!! How’s this for a little R-E-S-P-E-C-T? One of Aretha Franklin‘s ﻿favorite joints paid tribute to the late singer with a gigantic banner making it crystal clear … she’ll never be forgotten. 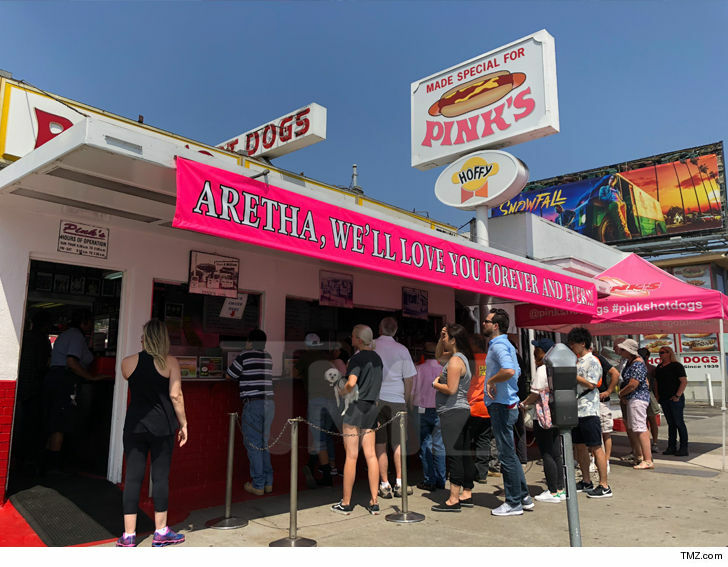 Hollywood’s famous Pink’s Hot Dogs has good reason to bow to The Queen … Aretha loved her some Pink’s, in particular the spicy Polish dog — loaded! Simple, yet mouthwatering — mustard, chili and onions. Aretha loved Pink’s so much, she had it brought to one of her shows in downtown L.A. and chowed down during intermission. When she came back onstage she wore a ballgown and a Pink’s hat for the rest of the show! And Pink’s traveled for Aretha … for one of her birthday celebrations in Detroit, she flew out a Pink’s staffer to serve up the famous dogs. 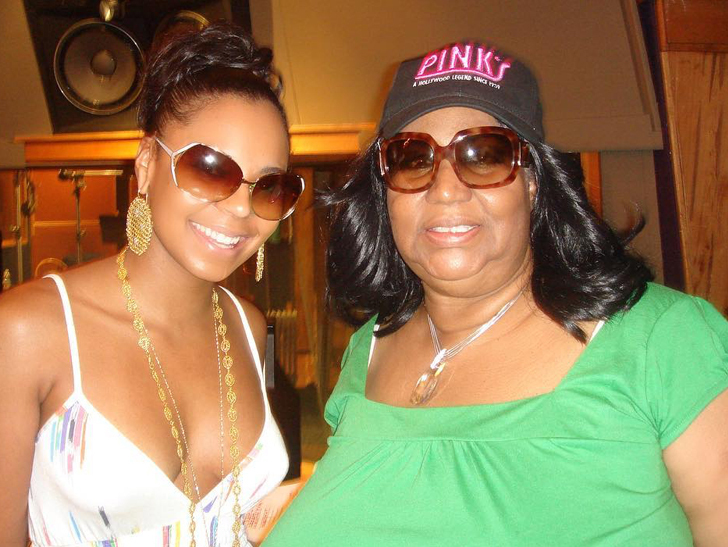 BTW … Aretha was not alone. Sometimes the line for Pink’s stretches for more than a block. She was a taste-maker with good taste.